In global brand recognition Harley-Davidson may not rank as high Coca Cola, Apple, Google or McDonald's (H-D ranks 96th on Interbrand), but it seems that the famous Milwaukee-based motorcycle manufacturer is virtually unknown to the chief of police, Sergeant Cunha, and apparently his entire force in the town of Guapo, located in the central Goiás state in Brazil. The Guapo police were looking for armed suspects that were linked to a rash of carjackings in the area and believed that they had finally identified one of the criminals, as a certain Mr. Harley Davidson. How did this police arrive at the conclusion that one of his suspect’s moniker was Harley Davidson? Apparently after the last car theft the investigators found an abandoned black embroidered Harley-Davidson baseball cap and a grey T-shirt which the police immediately assumed was the name of one of the perps. 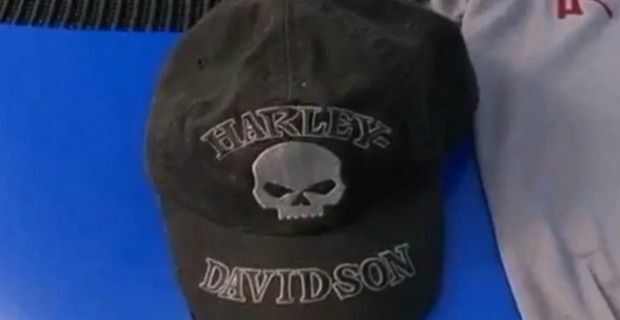 “He left a grey T-shirt which he had used to cover his face, and also a baseball cap with a skull embroidered on it, along with the name Harley, and the citizen’s surname, Davidson, who is probably the miscreant we’re looking for,” said the police chief during a video interview with a local TV station asking the public to help track down the criminal. Unfortunately for the unsophisticated police chief, his very earnest public appeal turned him first into a local, then a national – and now international - laughing stock, because the video went viral on YouTube. Not everyone may know what a Hog is, but a small town police chief, no matter how naive, can't believe that even the dumbest criminal would actually wear his name in plain view of his victims and leave evidence behind - something that even the most casual fan of police procedural dramas would know. Even even worse for Cunha he also failed to remember that his own Federal Highway Police uses Harley-Davidson motorcycles to patrol the nation's roads.